March marks the month that teachers all around, celebrate the notable Dr. Seuss. I’m sure your classrooms will be marked with Green Eggs and Ham and Cats in Hats, so I want to add another idea to your teacher toolbox. 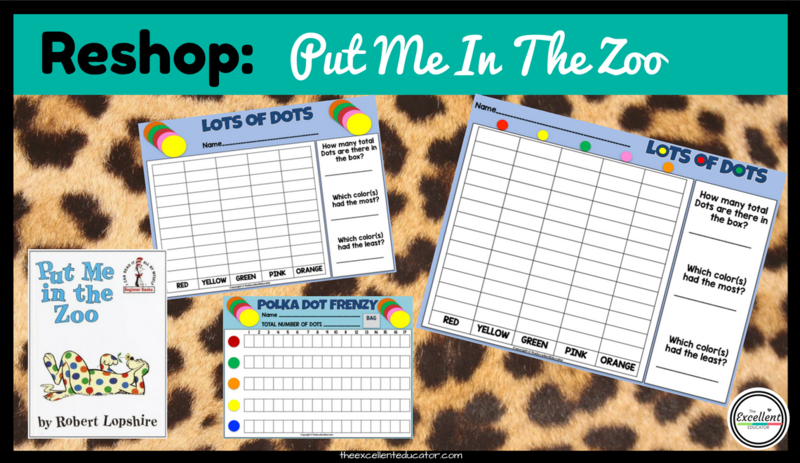 I will show you how to reshop one of my favorite Dr. Seuss beginner books, Put Me in the Zoo. 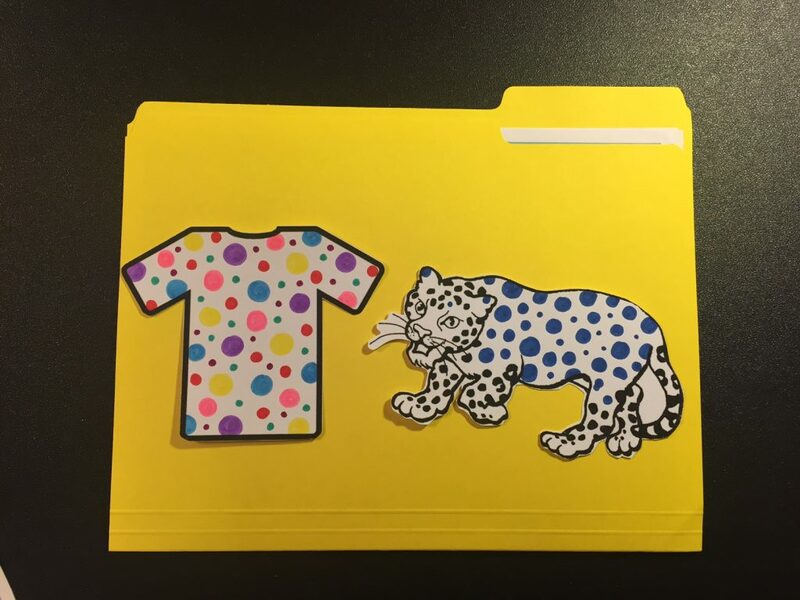 This story is about a leopard who has colorful spots and wishes to be put into a zoo to showcase his spotty appearance. I used this story to do data collection with my students. We did a large group lesson using some of the leopard’s spots from the story. 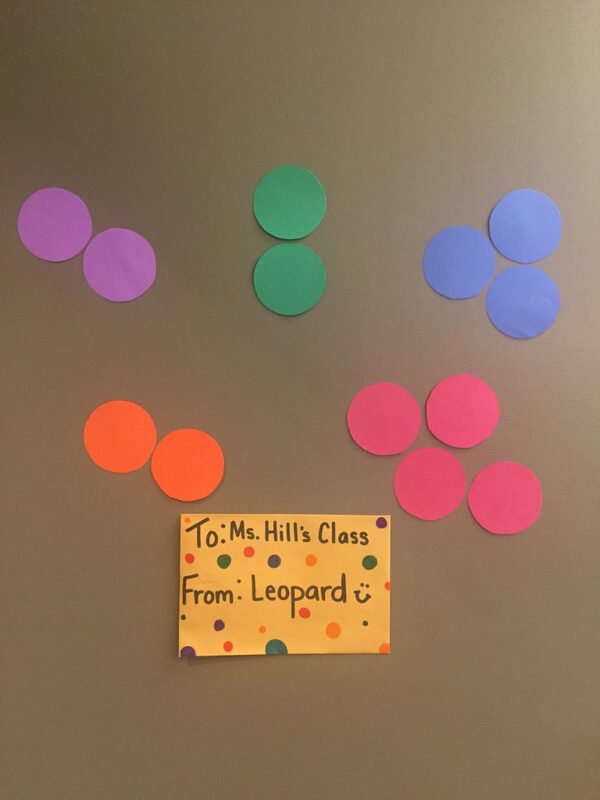 I told my children that we got some mail from “Leopard” and he sent some of his spots for us to throw on our board, since he loves throwing them around! We made guesses as to how many spots he sent us in our package. We opened the envelope and counted how many spots we got and then we sorted them by color. After sorting them, we created a graph of the results. After my students saw this concept modeled in large group, I did a variation of it during small group. This time we used edible dots to replicate Leopard’s spots. (You can use any kind of round candy or cereal, but I wanted to expose my children to the actual old-school Dots candy.) Use one box at the small group or have two boxes and split the group in half. You can even give each student a box if you find the small boxes. 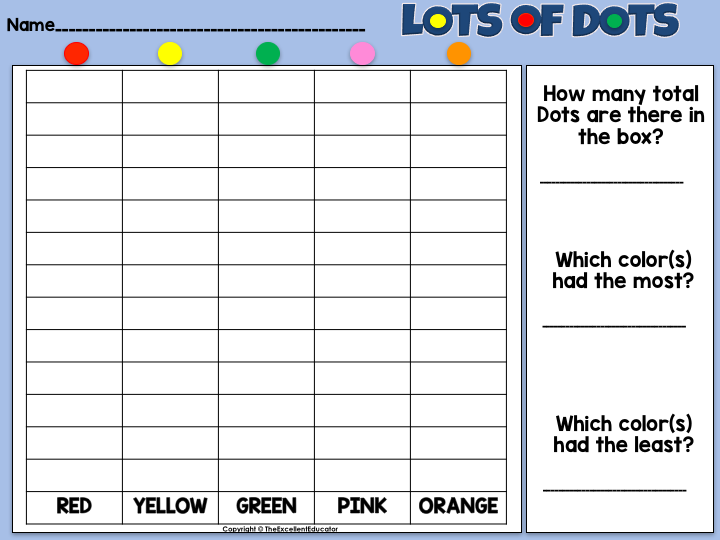 Guide children to sort the Dots in groups, then count how many of each color they have. Allow children to graph the colors using one of the two provided graphs. Don’t forget to ask questions and review math language to analyze the data. Which color(s) had the most on our graph? Which color(s) had the least? Did any colors have the same amount? How many more did ______ have than ___________? I let my early finishers put polka dots on various cut-outs I had available. 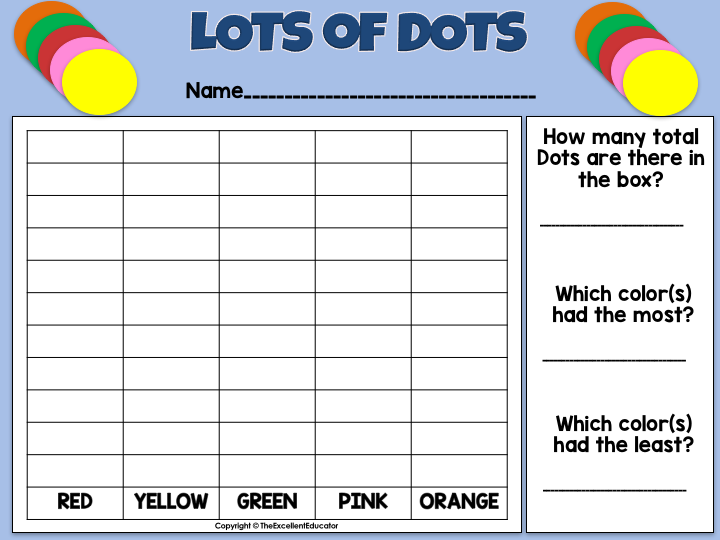 They used markers to make small and large dots. My kids loved this so much that we extended it even further. 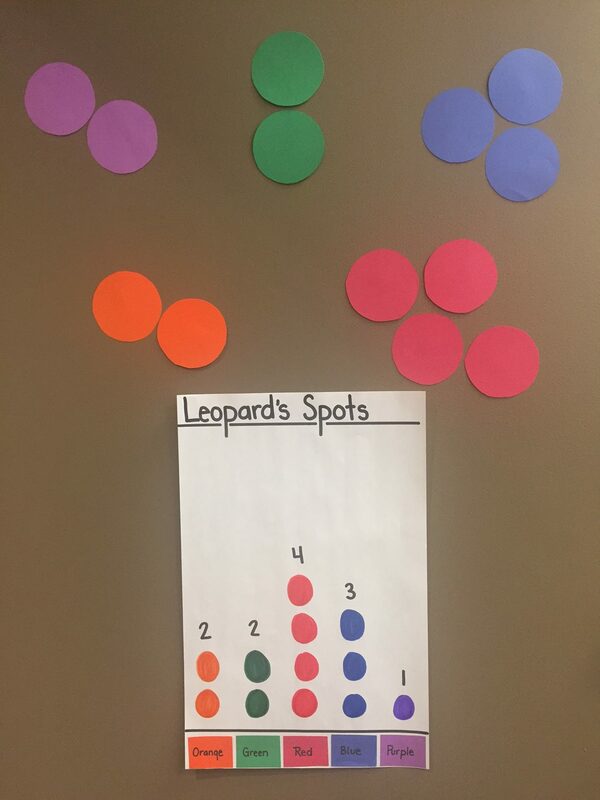 I created a polka dot frenzy graph the following week for their independent guided math center. 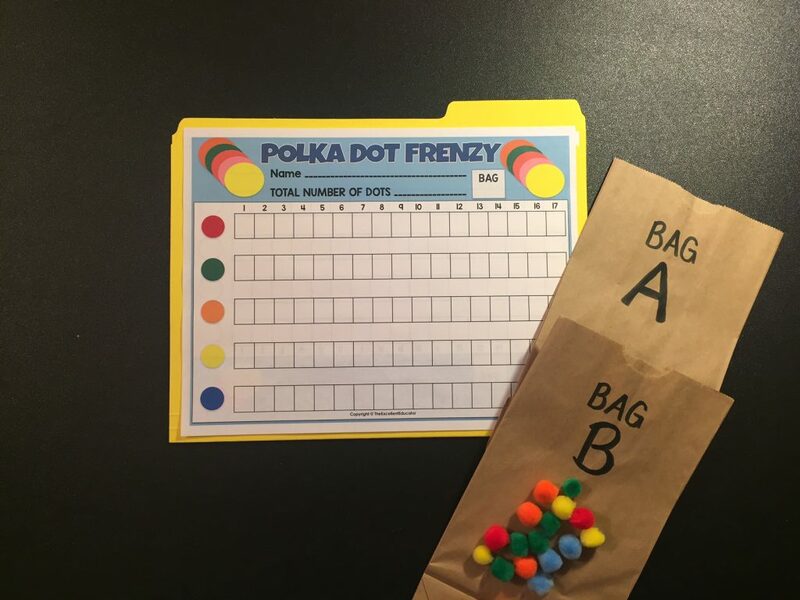 The independent group each had a labeled bag with various colored pom-poms inside and a polka dot frenzy graph. 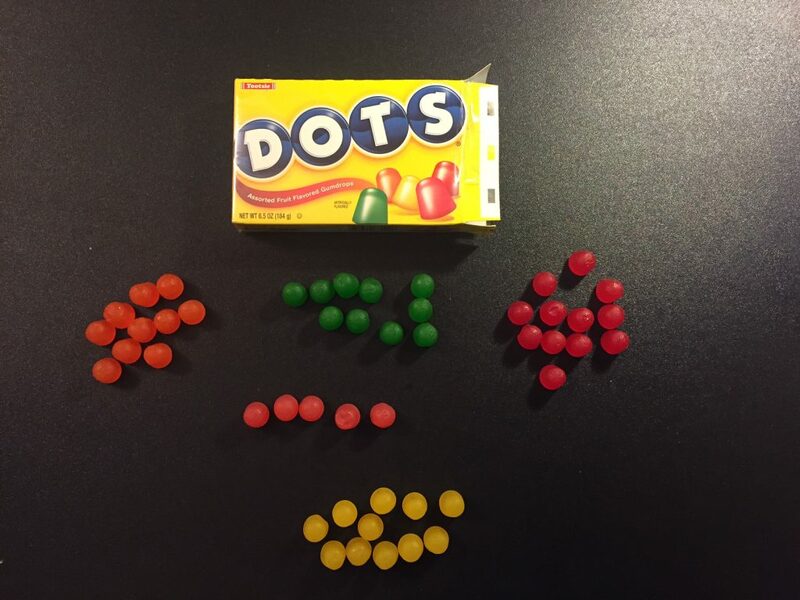 They had to dump out the contents from their individual bags and graph the amounts of each color. Try some of these activities this month and don’t forget to add your own creativity and differentiate for your students. Please leave a comment about other Dr. Seuss ideas you have! That’s my baby girl!!! I am the proudest a mommy could ever be! Keep pressing to reach all God has for you. It’s ALL going to work in your favor. I love you so!!! Thanks for the support and for always teaching me to operate in EXCELLENCE and sow into others!!! Brenda, you sure know how to make a little lady smile! I enjoyed being able to pour into such great teachers during the training! I am so pleased to know that I provided something that was enjoyable and relevant! I will keep pushing and striving to impact as many teacher’s as I can and I can’t wait to support you further! Thanks LL! I am glad you are enjoying it, even in the beginning stages! It’s my pleasure! I look forward to providing more great content for you! I just love your math activities. After our class on Friday, I went out to buy the book, Put Me In the Zoo! I can’t wait to use it in my math groups! Thanks again for every idea you shared! This blog is SO resourceful and helpful! I’m so proud of you! Your tips, strategies and educational ideas are beyond useful! Keep sharing your gift with others!! !